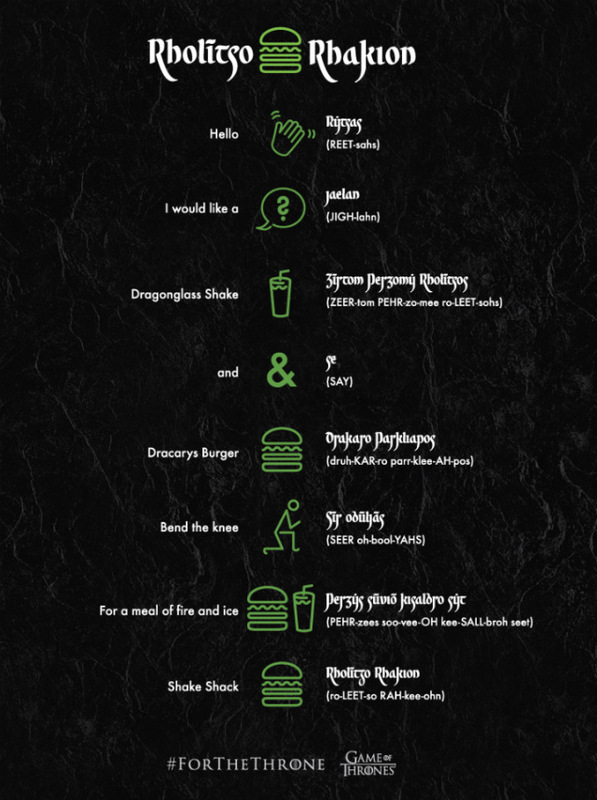 If there’s one GoT F&B promo we’re excited about, it’s Shake Shack’s Game of Thrones secret menu, only accessible via the Valyrian tongue (if you’ve seen even a little bit of GoT, you know Valyrian is a language created by David J. Peterson for the television adaptation of Game of Thrones). After all, we already have GoT Oreos. We have 2-pound GoT dragon eggs. 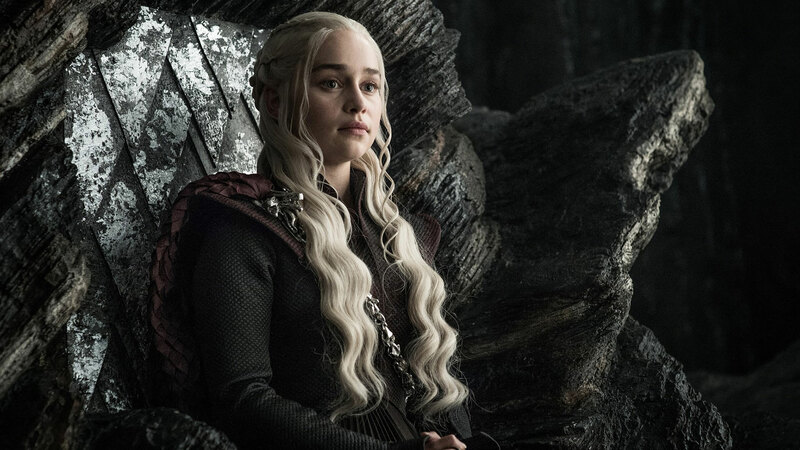 We have bottles of wine and GoT Mountain Dew cans that “have no face.” And we’re merely scratching the surface of the countless Game of Thrones products that have sprouted leading up to the Season 8 premiere of the hit HBO show on April 14. Last week, Shake Shack rolled out two new, albeit very limited menu items: the Dragonglass Shake (described as frozen custard “with packed snow harvested beyond the Wall and hand churned by members of the Night’s Watch” and topped with “shards of Dragonglass imported from the caves of Dragonstone”) and the Dracarys Burger (described as a double Monterey Jack cheeseburger topped with ShackSauce and bacon “imported from Essos — a Dothraki delicacy”) according to Gothamist. These items are so exclusive, however, they’re only available in New York City’s Madison Square Park Shake Shack in the Flatiron District. Those who live around the area have a very limited time to order the items, too, as the Dracarys Burger is only available through April 21 and the Dragonglass Shake through May 19. But let’s get to the fun part: ordering. To order the burger, say, “Drakaro Parkliapos,” pronounced as “Druh-KAR-ro parr-klee-AH-pos.” And to order the milkshake, the phrase is “Zīrtom Perzomy Rholītsos,” or, “ZEER-tom PEHR-zo-mee ro-LEET-sohs.” Easy. Shake Shack has one warning regarding the Dracarys Burger, however: It may be too hot for non-Targaryens.